To examine the effectiveness of young offender rehabilitation programs in Europe as part of an international project on the transnational transfer of approaches to reducing reoffending. A literature search of approximately 27,000 titles revealed 25 controlled evaluations that fulfilled eligibility criteria, such as treatment of adjudicated young offenders below the age of 25, equivalence of treatment and control groups, and outcomes on reoffending. In total, the studies contained 7,940 offenders with a mean age of 17.9 years. Outcomes in the primary studies ranged widely from odds ratio (OR) = 0.58 to 6.99, and the mean effect was significant and in favor of treatment (OR = 1.34). Behavioral and cognitive-behavioral treatment ranked above average (OR = 1.73), whereas purely deterrent and supervisory interventions revealed a slightly negative outcome (OR = 0.85). Programs that were conducted in accordance with the risk–need–responsivity principles revealed the strongest mean effect (OR = 1.90), which indicates a reduction of 16 % in reoffending against a baseline of 50 %. Studies of community treatment, with small samples, high program fidelity, and conducted as part of a demonstration project had larger effects; high methodological rigor was related to slightly smaller outcomes. Large effect size differences between evaluations from the UK and continental Europe disappeared when controlling for other study characteristics. Overall, most findings agreed with North American meta-analyses. However, two-thirds of the studies were British, and in most European countries there was no sound evaluation of young offender treatment at all. This limits the generalization of results and underlines the policy need for systematic evaluation of programs and outcome moderators across different countries. This study was carried out within the European cooperation project “Strengthening Transnational Approaches to Reducing Reoffending”. The project was funded by the European Union. We thank our partners from the UK Ministry of Justice, London Probation Trust, European Organization for Probation, and the Ministries of Justice of Bulgaria, France and Hungary for their cooperation. We also thank primary study authors for providing us with data to assist in the meta-analysis, and the anonymous peer reviewers for insightful suggestions that contributed to the improvement of this article. An asterisk (*) denotes the study was included in the meta-analysis. Aos, S., Phipps, P., Barnoski, R., & Lieb, R. (2001). The comparative costs and benefits of programs to reduce crime, 4th ed. Washington State Institute for Public Policy. Retrieved May 23, 2012, from http://www.wsipp.wa.gov/rptfiles/costbenefit.pdf. 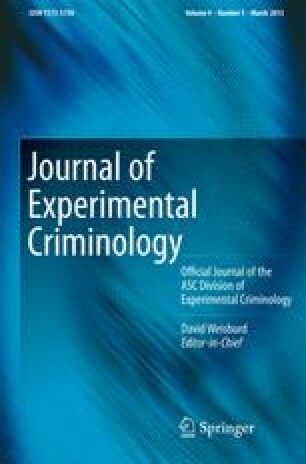 Hamilton, L., Koehler, J.A., & Lösel, F. (2011) Programmes to reduce reoffending throughout Europe: Three surveys on current practice. Final report of the project 'Strengthening transnational approaches to reducing reoffending', Appendix D. Retrieved May 23, 2012, from https://webmail.springer-sbm.com/owa/redir.aspx?C=23b359279c184631ba3922062a783e9d&URL=http%3a%2f%2fwww.cepprobation.org%2fuploaded_files%2fRep%2520STARR%2520ENG.pdf.